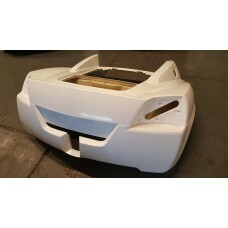 We have now developed a replacement rear clamshell for the VX220 and Opel Speedster. Our intensive process for tooling of the clam molds involved not just sourcing an original clamshell but stripping back and prepping the clam. 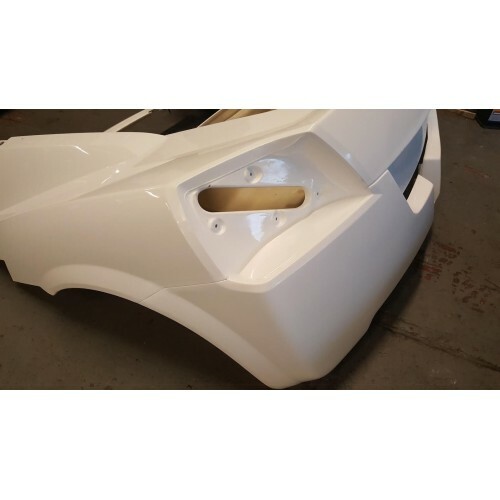 This process means that the finished reproduction requires almost no paintshop preparation as the surfaces are pre-flatted. All the holes and cutouts are done in the factory so the clam arrives ready to bolt to your car ready for paint with very minor prep required. The clam is both lighter and stronger than the original Lotus part. The original clams are mass produced using a “vac assist” production method which is great for making large volumes of parts but results in a weaker and heavier product. These clams are entirely made by hand by us and the difference in strength and rigidity are very noticeable. Along with the pre prepping of the original clam another important change we made was to make the outer part of the clam in one single piece. This means there is no margin for error in terms of alignment of the different parts of the clamshell which along with poor fit and finish is something that has plagued other’s previous attempts at making this part. 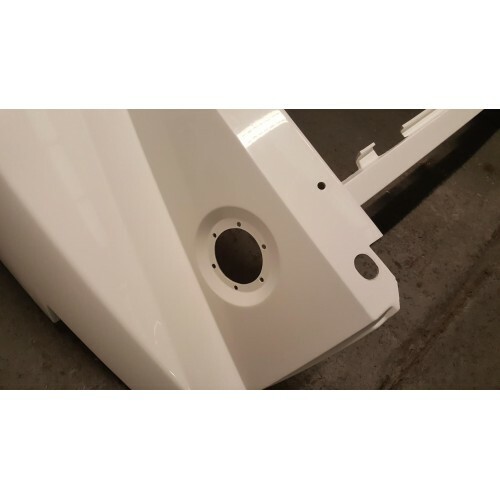 We have purposefully manufactured this part as a full OEM quality level replacement part able to be used for insurance repairs. Uniquely we are also able to offer this in coloured gelcoat so for example if you have a red car we can supply it in red gelcoat. Future stonechips will be less visible! We can organise freight delivery anywhere in Europe. Road and race versions availble.